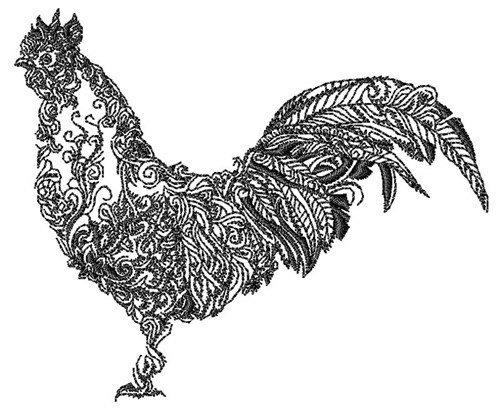 Decorate your kitchen with this lovely swirly rooster design! Stitch this onto tea towels, hot pad or an apron! Easy Embroidery is happy to present Swirly Rooster machine embroidery design which has 7854 stitches and is [88.70 mm x 73.51 mm] large. If you would like to view more embroidery patterns please search on our embroidery designs page.